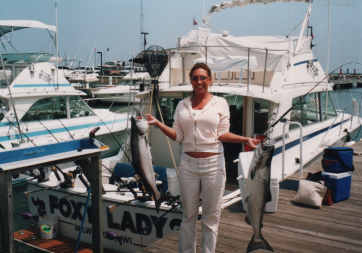 Question: What type of fish are caught? 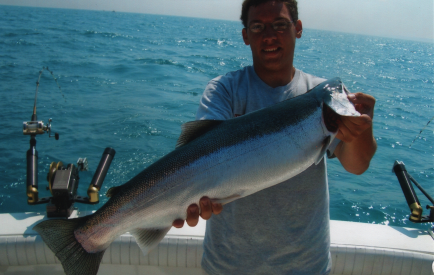 A normal charter on the lake consists of a combination of salmon and trout. 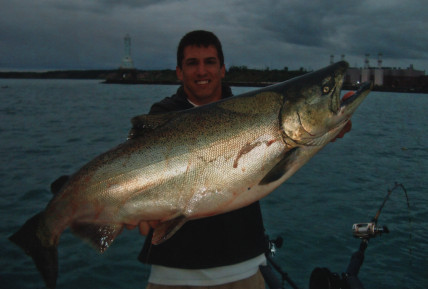 The fish range in size reaching up to 30 lbs. 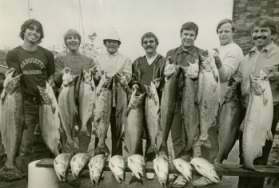 The different species caught are Chinook and Coho salmon along with Rainbow, Brown and Lake Trout. Question: What do you need to bring? As mentioned, all fishing tackle is supplied. Some things which are good to bring along are; food and beverages, deck shoes, extra warm clothes; cooler for fish, sunglasses or hat. Don't forget your camera! Question: How many people can come along? Each boat is allowed six people by its USCG license. Larger groups are welcome using as many boats needed to accommodate your party. 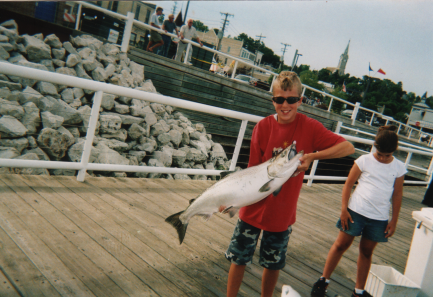 Question: Do we need fishing licenses? Question: What about Weather Conditions? Weather is generally not a problem, however can occasionally cause concern. In the event of bad weather we will re-schedule your trip if so desired. We usually make the decision at or near the time of departure based on the individual group. We will go in most cases unless you feel uneasy with the current conditions. You are welcome to call the boat phone: 414-333-6976 for current weather conditions and our decisions as your charter approaches. We always consider safety and the groups comfort level with our decision. With windy weather conditions motion sickness can occur. There are remedies for this including tablets and a patch that is applied behind the ear. If you are concerned please call our reservation number for more information, or consult your physician. Question: What do you do with the fish? 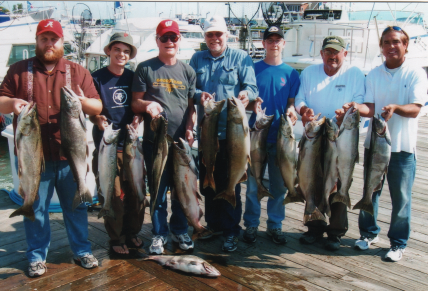 We clean and bag your catch for you. A cooler to transport your fish is helpful. 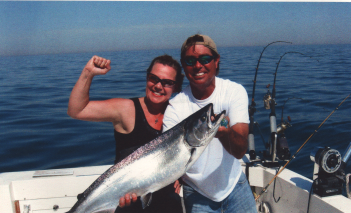 We also will offer ways for your to enjoy your freshly caught fish.